BUENOS AIRES, Argentina, Oct. 10, 2018 – Brandon Briones of Gilbert, Ariz./Aspire Kids Sports Center, qualified for the horizontal bar final on the last day of qualifications at the 2018 Youth Olympic Games in Buenos Aires, Argentina. Briones was also a member of Team Oksana Chusovitina, which won the multi-disciplinary event’s bronze medal. 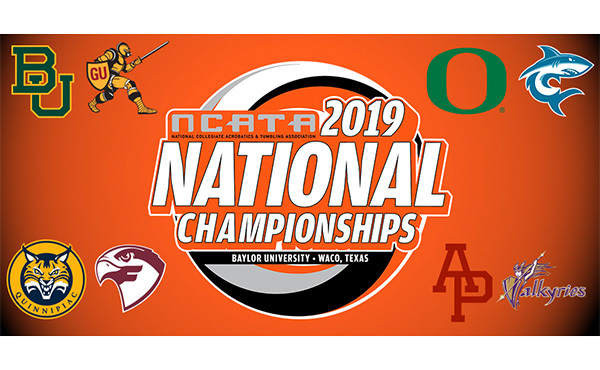 Briones competes tomorrow in the men’s all-around final. 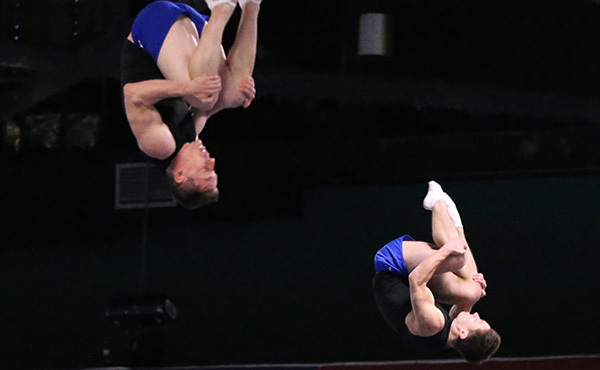 Live scoring and results are available through the official website, and the Olympic Channel will carry a live stream of the men’s all-around final, beginning at 5 p.m. Argentina time. 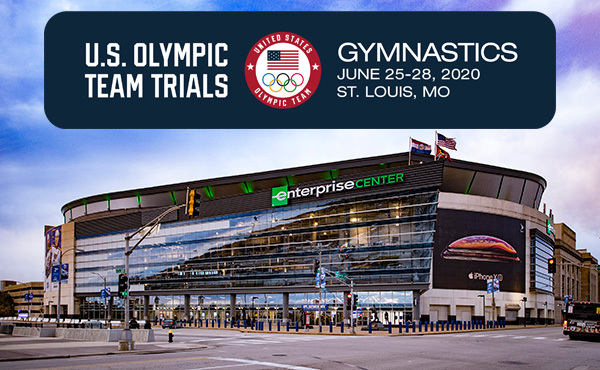 Briones will compete in five men’s finals – all-around, floor exercise, still rings, vault and horizontal bar – and is the first reserve athlete for pommel horse and second reserve for the parallel bars. 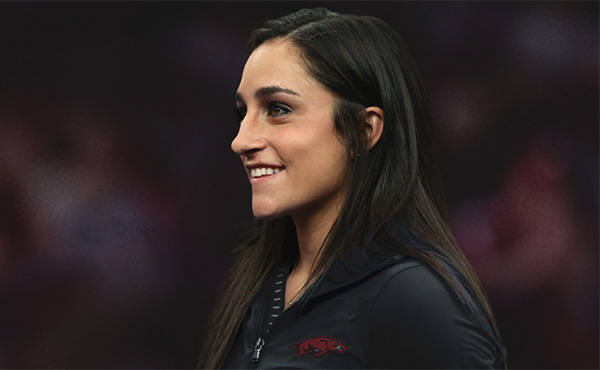 Alyssa Oh of Rocklin, Calif./World Elite Gymnastics, qualified for the women’s trampoline final. Rhythmic gymnast Elizabeth Kapitonova of Staten Island, N.Y./Isadora, is the third reserve athlete for the all-around final. In the multi-discipline event, Team Simone Biles easily won the gold medal with 293 points, with Team Max Whitlock edging out Team Chusovitina for the silver medal, 349 to 352. 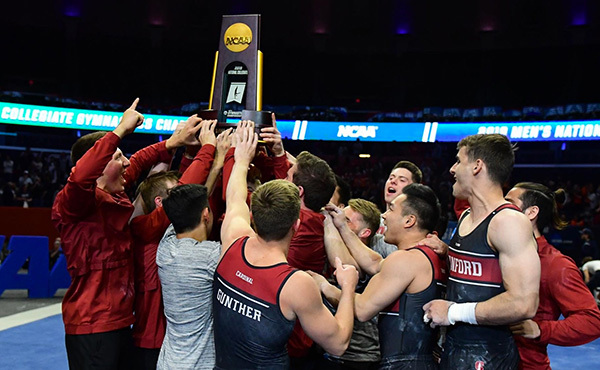 All of the gymnasts were divided into multi-national teams, which were named after well-known gymnasts, that included one mixed pair, acrobatic gymnastics; three men and three women, artistic gymnastics; three rhythmic gymnasts; and one man and one woman trampoline gymnasts on each team. Multi-discipline event scoring added the rank achieved by each gymnast/mixed pair in their respective disciplines, and the team with the lowest score won. Kapitonova was on Team Alina Kabaeva, which finished sixth, and Oh was on Team Yevgeny Marchenko in 10th place. 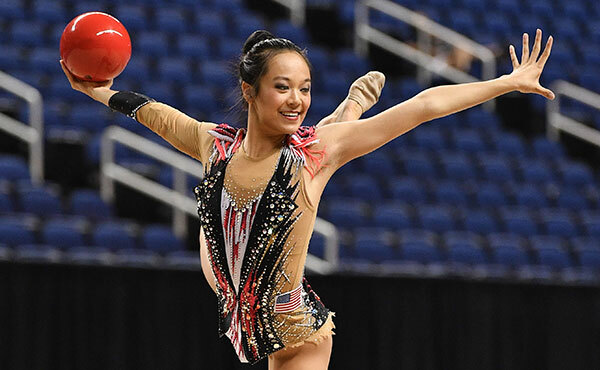 On the final day of rhythmic’s all-around qualification, Kapitonova earned a 13.150 for clubs and a 14.100 for ribbon, giving her a four-event total of 56.200 and 11th place in the all-around and third reserve athlete for the finals. The top three in the all-around qualification ranking were: Russia’s Daria Trubnikova (68.575); Italy’s Talisa Torretti (64.750); and Ukraine’s Khrystyna Pohranychna (62.050). In the high bar qualification round, Briones claimed a 13.000 (4.600, difficulty; 8.400, execution) for sixth in the preliminary ranking. Japan’s Takeru Kitazono had the best horizontal bar score of 13.600, with Hungary’s Krisztian Balazs in second (13.366) and Brazil’s Diogo Soares in third (13.300). 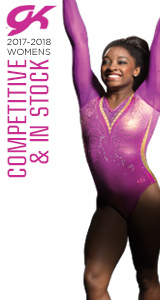 In the all-around qualification rankings, Briones tallied an 80.498 for fourth. Kitazono sits atop the rankings with an 83.299. Russia’s Sergei Naidin notched an 81.448, and China’s Yin Dehang landed in third with his 80.831. For the balance beam qualification, China’s Tang Xijing earned a 13.800 for the top score. Anastasiia Bachynska of Ukraine, was right behind her at 13.400, and Russia’s Kseniia Klimenko was third at 13.100. In the women’s all-around, Bachynska posted the highest qualification score at 54.066. Giorgia Villa of Italy was second (53.966) and Tang was third (53.274). The Games will be broadcast on the Olympic Channel every night, and OlympicChannel.com and the Olympic Channel app will offer a 24/7 channel with live streams, replays and highlights.